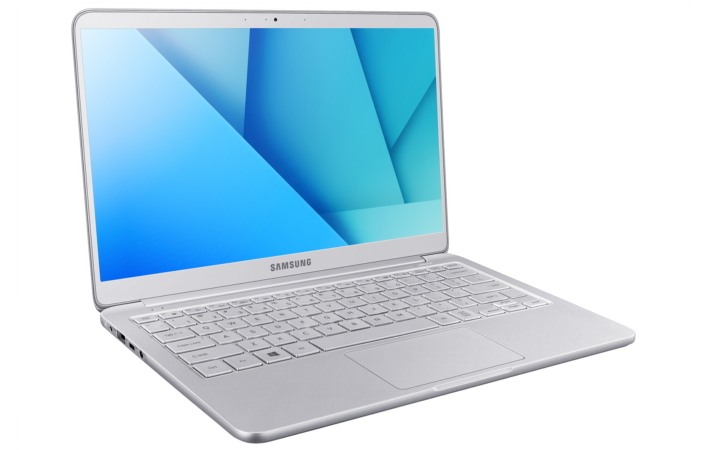 Impossibly Light: The Samsung Notebook 9 13.3-inch — at 1.8 pounds — is the lightest notebook on the market. It’s effortless to carry, and easy to travel with. It’s the perfect combination of performance and portability. Versatile: The Samsung Notebook 9 display reclines 180°, making it simple to share presentations with co-workers, or pictures with your friends and family. Durable: With a sleek single shell structure, and Micro Arc Oxidation (MAO) Rigidity technology, the Notebook 9 features added integrity, resiliency, and thermal and shock resistance. Powerful Performance: The Samsung Notebook 9 isn’t just a beautiful device, it also packs power and performance. It is equipped with the latest 7th Generation Intel® Core™ i7/i5 Processors, as well as faster storage and memory. Connectivity Features: The Samsung Notebook 9 offers exclusive software solutions for peer-to-peer sharing with other devices including smartphones. With PC Message and PC Gallery, users can easily share files, messages and photos anytime, anywhere. Long-Lasting Battery: The Samsung Notebook 9 battery last for 7 hours on a single charge—more than enough for a day at the office, or even an international flight. Adaptive Fast Charge: Users can fully recharge the Samsung Notebook 9 in 80 minutes, or get 2.1 hours of power in just 20 minutes. USB Type-C™: The latest USB Type-C™ port lets users charge the Samsung Notebook 9 through via a cell-phone charger, and also enables quick data transfer and connectivity to displays and other devices. Security is always top-of-mind which is why the Samsung Notebook 9 includes a built-in fingerprint sensor as well as support for Windows Hello, which enables secure sign in with a single touch, so users can log into the Windows 10 device without typing in a password. Vibrant Full-HD Display: The Samsung Notebook 9 was created with a stunningly immersive full-HD display with bright, vivid and accurate colors. Featuring Samsung RealView Display, the Samsung Notebook 9 elevates the viewing experience to new heights with support for a high-level of brightness, true-to-life colors and a wide viewing angle. Also, with Outdoor Mode, instantly boost the clarity of the display with a quick shortcut command when working under direct sunlight. HDR Video: View content in high dynamic range (HDR) to experience more vibrant videos. * Samsung Notebook 9 15″ EXT is only available for purchase in US markets. ** Portion of memory occupied by existing content. *** Battery life is based on internal testing conducted by Samsung. Results may differ by usage pattern.